There are still a couple free spaces available for Darkness Retreats from February 1 – 30th with experienced supervisor, Stefan Berns. If you would like to register on this short notice, you’ll receive “last minute” discount (valid only in February) for a 15% reduction off of the entire cost. You can experience your Dark Retreat in silence or with daily conversation, and we are always available whenever you need assistance with the 24 hour on-call bell. As the dates in March are already fully booked, the discount offer is valid only for February, since just a few valuable spaces remain open. Our Dark Retreat supervisor Stefan Berns, has been researching consciousness development and spirituality for 25 years. In his role as a Dark Retreat supervisor, he helps you remember and acknowledge that you are a spiritual, divine being and provides assistance for you to experience yourself as such. As an energetic healer, Stefan has the knowledge and the methodology to assist you, upon your request, with a regression. A regression that takes you back to your birth or even beyond this life. It can help you to understand karmic relationships and have a new view of your current situation. Stefan has an understanding, an integration and alignment of universal laws that he uses to help you integrate new perspectives. From the 29th of January until the 1st of February, you can make an appointment with Stefan Berns for a very popular Reincarnation and Regression Session, as well as a Universal Wisdom Reading Session. Experience a special “Power Journey” with us in South India – with intensive inner workings. Feel the most powerful new moon night of the year with us in a special Shiva temple – Maha Shivaratri! It’s all waiting for you… high-energy places of power, special and rare encounters, high vibrations and intensive transformation! Travel dates: February 07 – 18, 2018. This entry was posted in Darkness Retreat, Events on January 29, 2018 by jennyhumke. We hope you had a gentle landing in the new year and feel strengthened and inspired for the coming 12 months. With us, it’s full power ahead, straight into 2018! Coming up already in February, is our Shivaratri Pilgrimage Journey. We still have a few open spaces and would be happy if you’d like to join us! 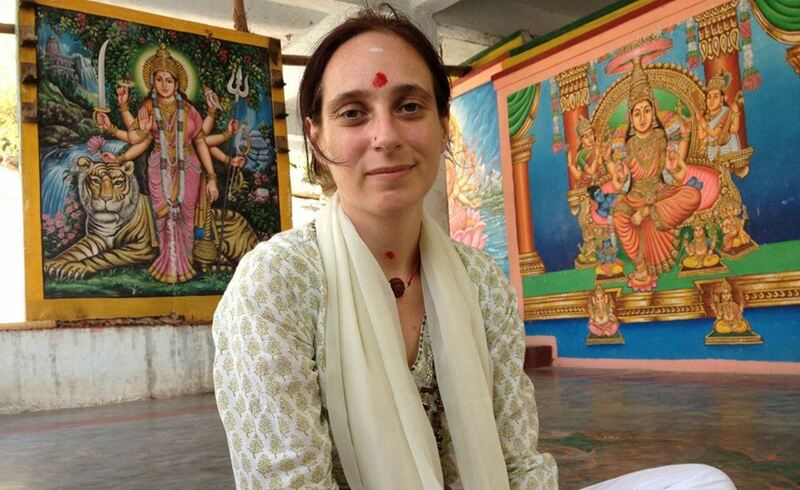 The trip will take place from February 7th – 18th, in Tiruvannamalai, India. In addition, there is the possibility to stay overnight in a very special temple, the Jeevan Samadhi Temple! It’s here where a highly advanced Siddha Yoghi practiced his sadhana (spiritual practice) for 28 years in an underground room and reached Jeevan Samadhi– one of the highest states of consciousness. His energy is clearly present and continues helping those who come here with their soul work. At this highly powerful place, where a spiritual miracle occurred during our last journey to India for Navaratri, we’ll have the opportunity to practice our sadhana, hold satsangs and even stay overnight a few times! On our website you’ll find all the information about the journey, accommodation and costs. Experience the most powerful new moon of the year with us in India during the night of Shivaratri and experience true spirituality! Shivaratri, or Mahashivaratri, is an important Hindu holiday and moreover, a particularly important “energy day”. It is the highest celebration, the holiest of all nights. Thousands of pilgrims, including many yogis, arrive on this night to circle the holy mountain of Arunachala. This particular spiritual practice is known as “Giri-Pradakshina” and brings, through Shiva, an enormous amount of purifying energy into our lives. We’re also on Instagram with our accounts: Spiritbalanceshop and Quelle der Kraft(source of power). Check it out and follow us! Become a healer and gain access to information from all time periods and dimensions. In the first part, you will learn how to tap into the morphogenetic fields of the Akashic Records to select and transmit its truths. In the second part, you will learn how to use this information for healing and transformation. On January 24th, and then again from January 29th through February 1st. • Reading Session: By tapping into the Akashic Records, it becomes possible to receive any kind of information. • Reincarnation & Regression Session: Regressions (returning to past events in this life) and reincarnation (returning to past lives) are an important part of spiritual healing and transformational work to help uncover and treat the causes of illnesses and problems. See all events from Stefan here. This entry was posted in Events on January 12, 2018 by jennyhumke.